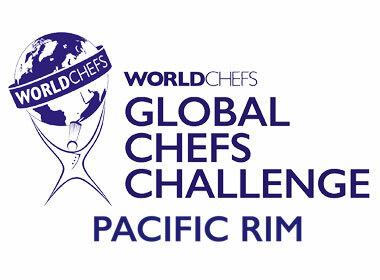 Get ready for the 5th issue of WorldChefs Global Chef's Challenge on from the 30th July in Auckland New Zealand. Two of our Chefs, Chef Sébastien Lambert from Le Cordon Bleu New Zealand and Chef Karen Doyle - Head Teacher from Le Cordon Bleu Sydney, Guest Chef and President Australian Culinary Federation NSW, ACT & Regions are participating as judges this weekend in New Zealand for the Oceanic region competition. Chef Karen in the salon events and Chef Sebastien in the Global Pastry Chef category. This hugely successful global competition pits the best nationally awarded chefs in each category against each other in a series of challenges. One of the most prestigious Chef competitions originating from Paris. This is not a competition for the faint hearted. The competition is held in three different categories, Global Chefs, Global Pastry Chefs and Young Chefs Challenge (Hans Bueschkens for 25 and under). Competitors must first get through their national selection to go further to the regional semi-final before reaching the world final stage to be held and Worldchefs Congress in Athens 2016. The World Association of Chefs' Societies, or Worldchefs in short, is a global network of chefs associations first founded in October 1928 at the Sorbonne in Paris. At that first congress there were 65 delegates from 17 countries, representing 36 national and international associations, and the venerable August Escoffier was named the first Honorary President of Worldchefs. Today, this global body has 100 official chefs associations as members that represent over 10 million professional chefs worldwide. The biennial congress is a hallmark tradition of Worldchefs and has been organised in over 20 cities across the world throughout its illustrious 82-year history.